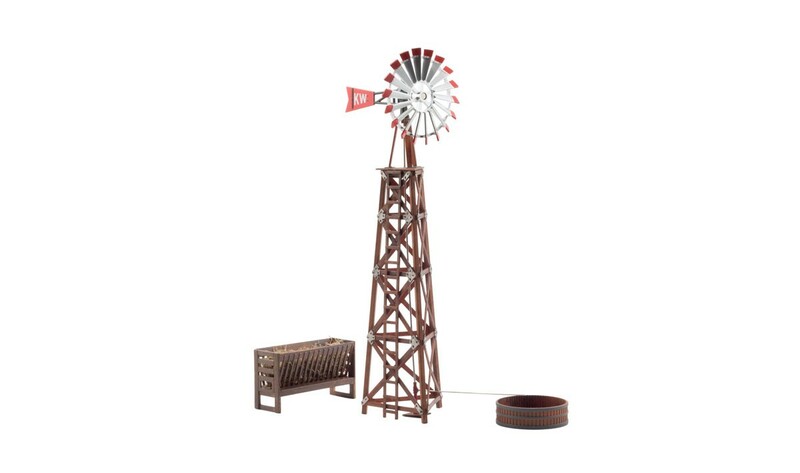 This well-kept Windmill indicates someone is investing in the property. It features a shiny metal turbine that sits high on a tall wooden tower, and a ladder leads up to the turbine for easy maintenance. Accessories include a round stock tank and a hayrack.